Cheshire East Council has approved a new planning power for two main areas in Macclesfield that will see brownfield sites become residential and commercial areas. 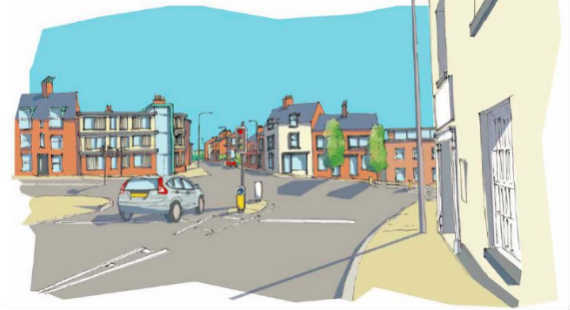 The ‘local development order’ (LDO), which was agreed at a meeting of the cabinet (5 February 2019), covers the areas known as North Side and Whalley Hayes. The decision to accept it means the LDO will effectively grant planning consent for a combination of residential and commercial development – provided it meets the terms of the order. The order promotes additional housing close by the town centre and the re-use of brownfield land and follows an extensive period of preparation and engagement. Councillor Ainsley Arnold, Cheshire East Council cabinet member for housing, planning and regeneration, said: “This local development order represents an innovative and pro-active use of the council’s planning powers. The Macclesfield LDO will begin on 13 February 2019 and will be in place for the next five years. ← Previous Story Your Health Matters!